You'll like what you see when you upgrade to Staff Files 8.0. We listened to your feedback and included features that make managing employee information even more efficient. Check out the complete list of what's new in version 8.0 of Staff Files and Staff Files Pro, and upgrade today! Scan multiple-page documents into one file with the improved scanning options. You’ll be able to select the scanning driver you wish to use. For example, you can choose the scanning software provided by your scanner’s manufacturer, or you can choose the scanning utility provided by Windows. This new report shows the balance for each accrual account as of a specific point in time for each employee. The Accruals Balance report lists your employees and their available time off for vacation days, sick time, or any other type of time-off accruals you track in Staff Files. This new report displays a summary of accrual activity during a date range. The beginning balance, total earned transactions, total deducted transactions, adjustments, and ending balance are shown for each accrual account for each employee. 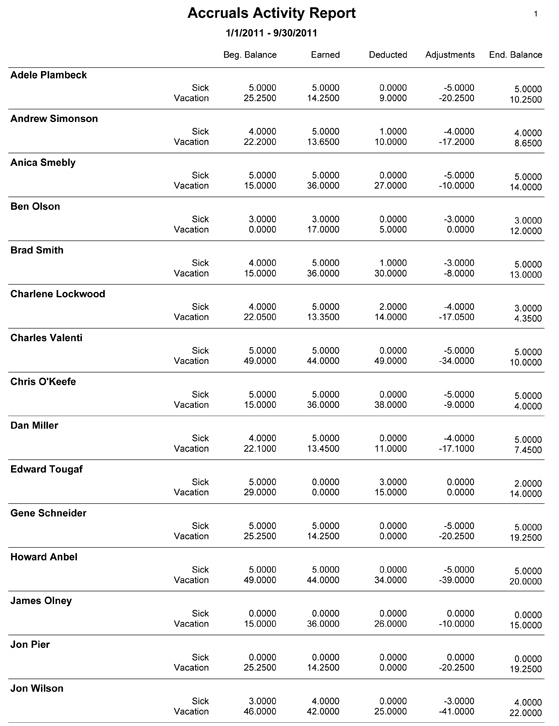 Your Auto Accrual Policy dictates changes listed in the Adjustments column. For example, if your policy only allows employees to carry over five vacation days at the beginning of the year and an employee has seven unused vacation days at that time, you’ll notice a two-day adjustment for that employee. 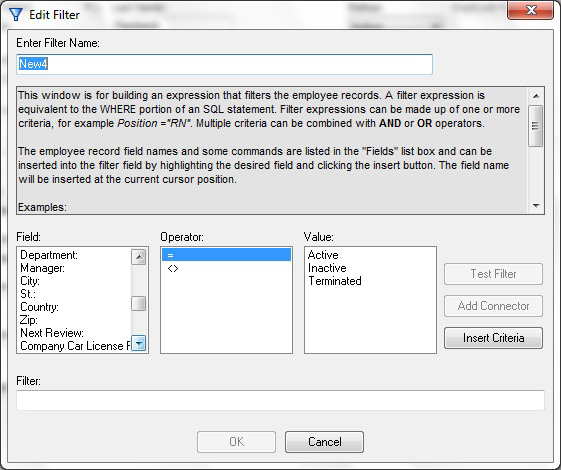 Now you can use the city, state, country, and manager fields in the General tab for filters and sorts. More field options equal more flexibility! 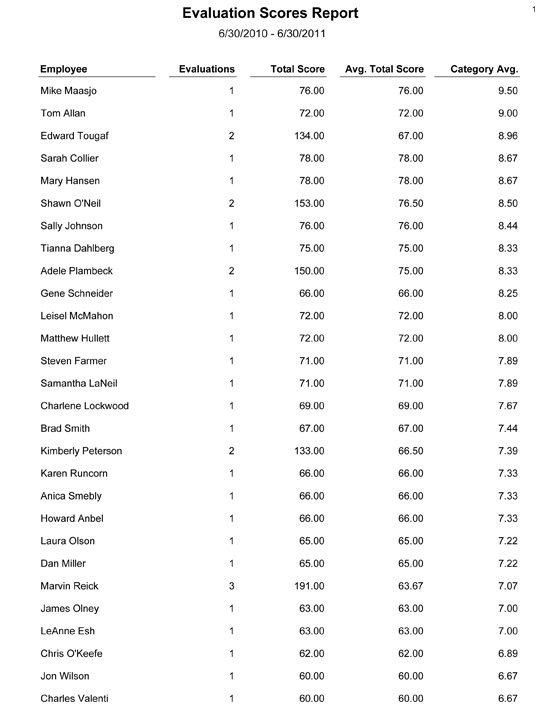 Quickly find your best employees with the new Evaluations Score report. It displays each employee’s total and average overall performance scores, the average category score, and the number of evaluations completed during the date range you choose. 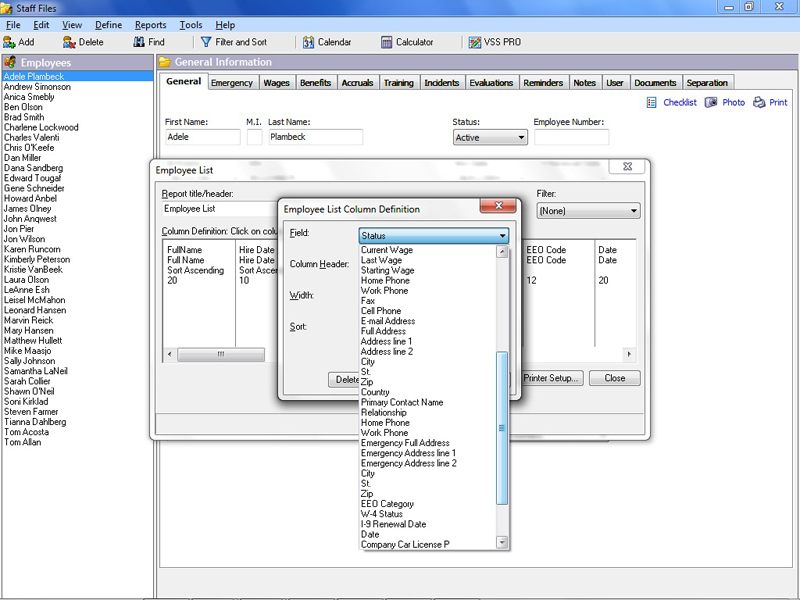 Sorting employees by category average allows you to compare people who work throughout your entire company, even though they may have different evaluation criteria, number of categories, or number of evaluations. Signature lines can be added to the end of Employee Evaluations reports, so you can have employees and managers officially sign off on performance reviews. The Employee List report has been improved. The field options have been expanded to include any field from the General, Emergency, and User tabs, as well as the termination date entered in the Separation tab. Lock down the Define menu, so only the managers you choose have access to change auto accrual policies for time off, drop-down lists, checklist items, and category lists. 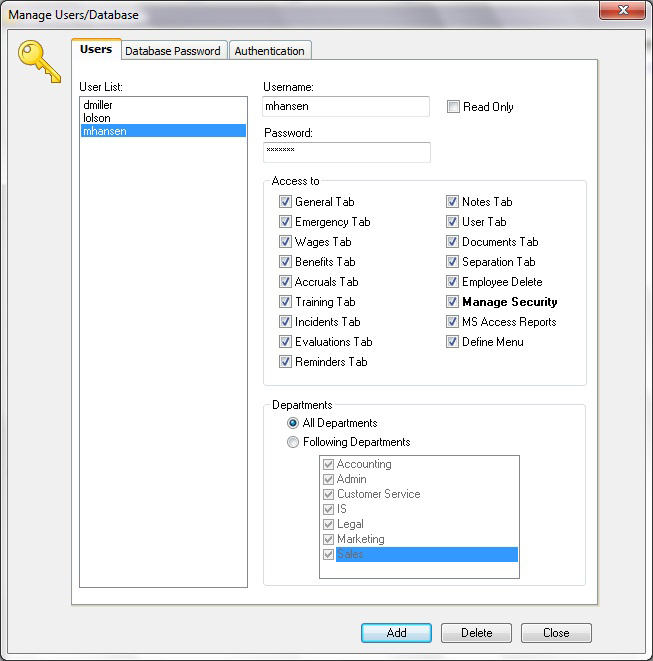 Update user access to the Define menu in the Manage Security window. Upgrade to Staff Files Pro to receive everything in the standard edition of Staff Files, plus the Audit Trail and the HR Documents tool that contains hundreds of pre-written templates for company policies, employee handbooks, job descriptions, and HR forms and guidelines. Are you ready to increase productivity and work more efficiently with employee data?